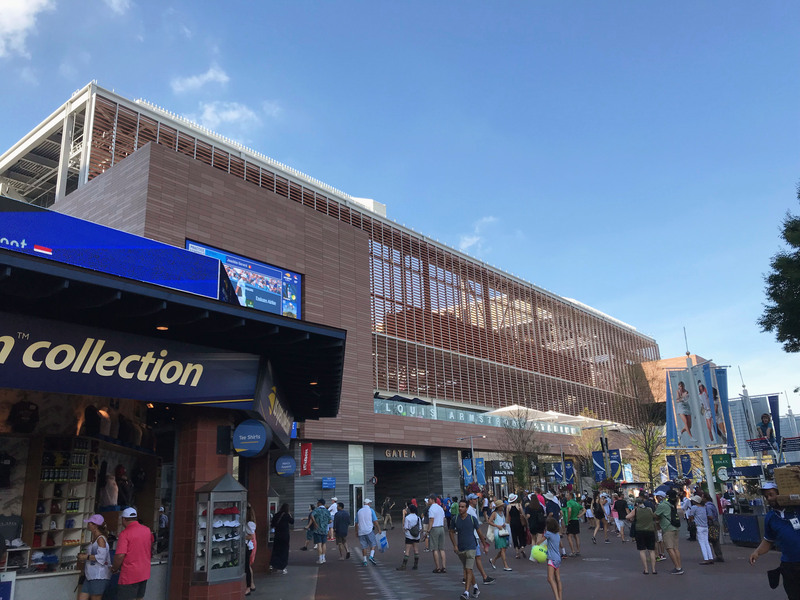 The newly designed Louis Armstrong Stadium made its grand slam public debut during the well-attended and widely-televised 2018 U.S Open Tennis Championships, marking the 50th anniversary of the competition series. 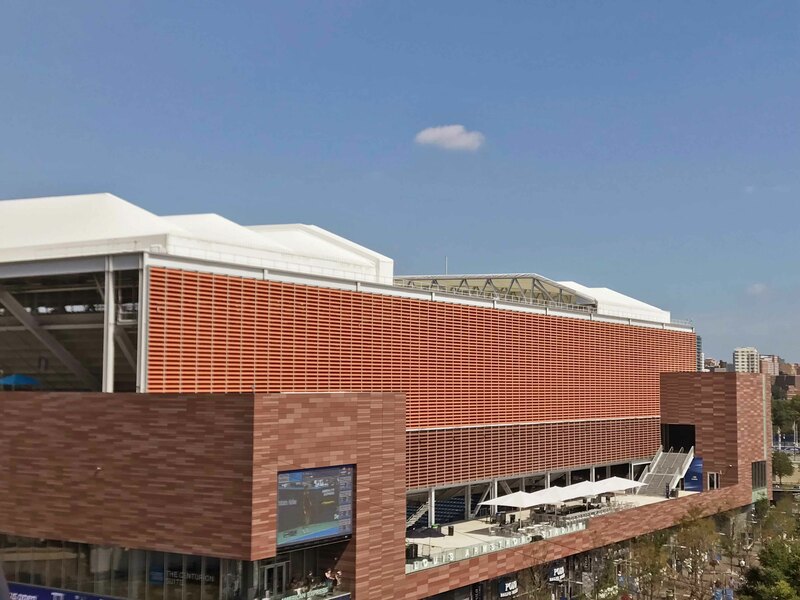 The stadium’s innovative, open-air architecture by the Detroit-based firm Rossetti, includes a retractable roof and sun-blocking terracotta louvers by NBK. During opening week, these were put to the test by an inconsistent end-of-summer weather pattern, which ranged from stifling heat to chilly rain during the US Open in Flushing, New York. Yet with NBK’s louvers, which acted as horizontal window blinds, fans stayed cool during hot afternoons. Guests were also able to keep dry during rain spells – the smart roof design eliminated the usual rain delays that historically stall the tournament, so players could get their game on, no matter the weather. 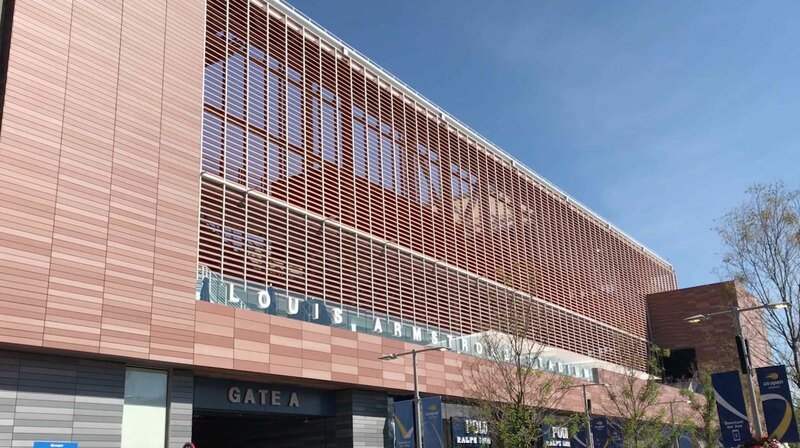 Located within the recently renovated USTA Billie Jean King National Tennis Center complex, Louis Armstrong is the world’s first naturally ventilated stadium. On the north and south sides, the façade is clad in 14,250 NBK terracotta louvers in a natural orange tone – a design detail that pays homage to the traditional brickwork found on tennis grounds. These louvers were installed to overlap, thus shielding rain and blocking direct sunlight. The façade is clad in 14,250 NBK terracotta louvers in a natural orange tone – a design detail that pays homage to the traditional brickwork found on tennis grounds. The angled NBK terracotta baguettes allow a breeze to pass through the airy stadium to cool fans, while outside, passersby are occasionally treated to the soundtrack of loud cheers after rousing matches. Meanwhile the structure’s two-piece retractable roof spanning across the court is a bona fide modern engineering marvel. 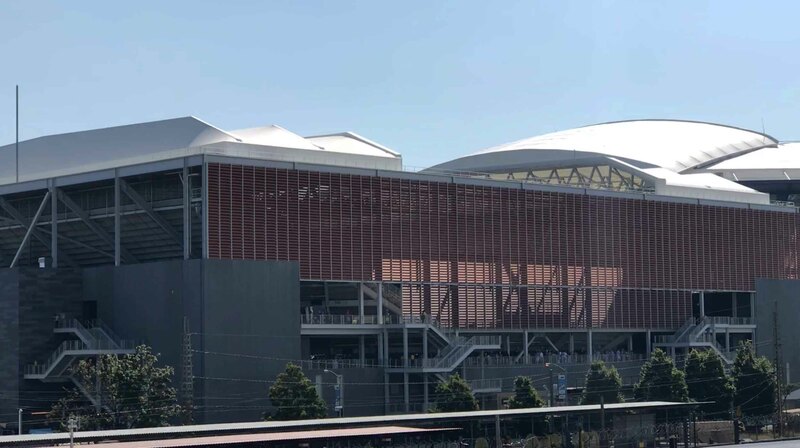 Rossetti architects refer to the roof as a “complex, stackable sun room.” Here’s how it works: it’s equipped with “284,000-pound PTFE fabric panels that create a 38,160-square-foot opening after traveling 25 feet per minute in under seven minutes from the stadium’s edge. The transparent, lightweight fabric diffuses a soft light into the arena when closed, transferring 73 percent of the sun’s energy,” according to the Architect’s Newspaper. This past week, players and fans were “treated to a version of the intimacy they had hoped to find in the new stadium; the breeze they had prayed for on a sweltering afternoon; and, in some parts, the shade created by portions of the retractable roof (the old Armstrong had little shelter),” writes NYT. 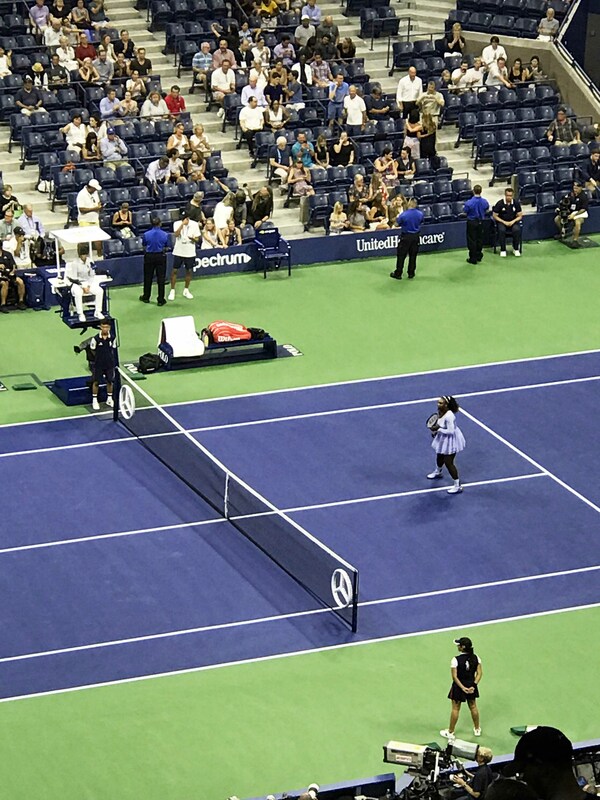 Seating was also significantly expanded in the new design – accommodating 14,000 tennis fans, up about 40 percent compared to the old stadium’s capacity. In the upper bowl, 7,4000 seats are ticketed as general admission while 6,600 lower bowl seats are reserved for Louis Armstrong Stadium ticketholders. 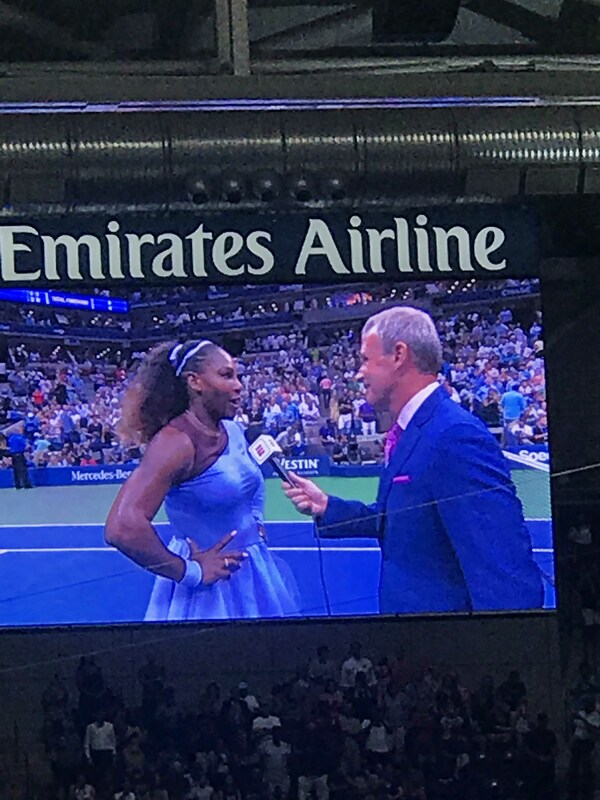 With a major US Open debut, the stadium’s enhanced comfort and amenities for fans meant eyes could stay glued to the action on the courts, rather than scanning the sky for rain clouds. 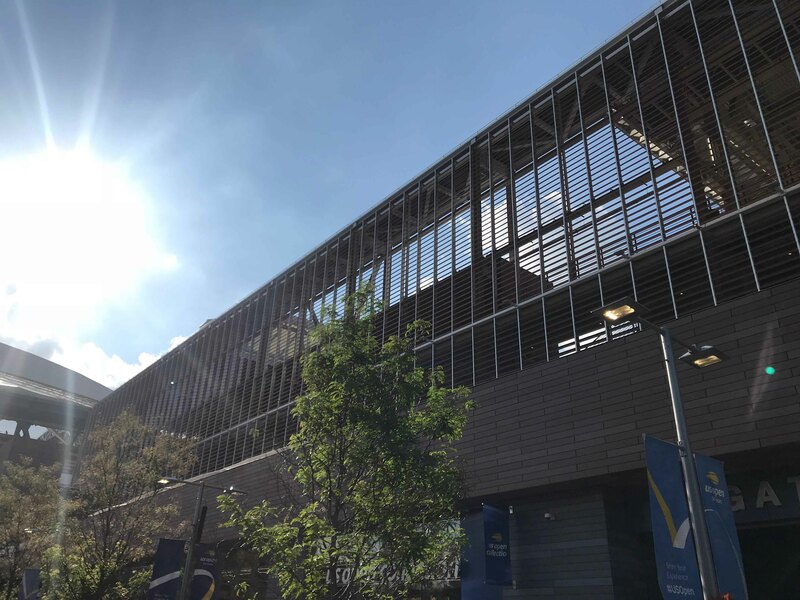 The grand opening of the so-called “Louis Armstrong 2.0” signifies the completion of a much larger project: Rossetti architects designed all of the new facilities at the USTA Billie Jean King National Tennis Center after a five-year, $600 million revamp of the entire campus.